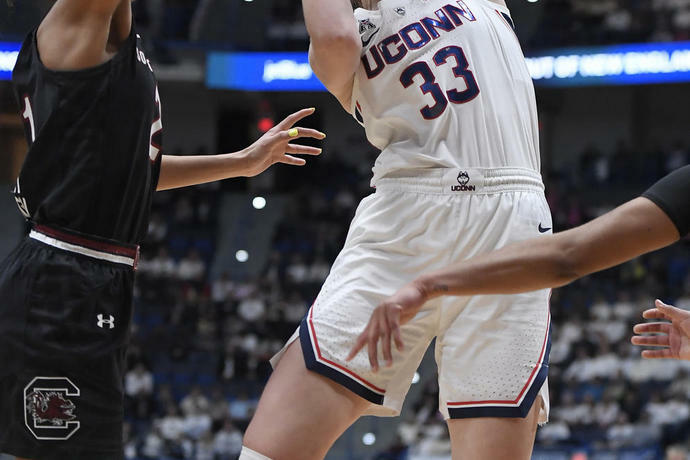 HARTFORD, Conn. (AP) -- Napheesa Collier and UConn used a strong second half to turn their final nonconference game into a rout. The victory was the 89th straight at home for the Huskies. 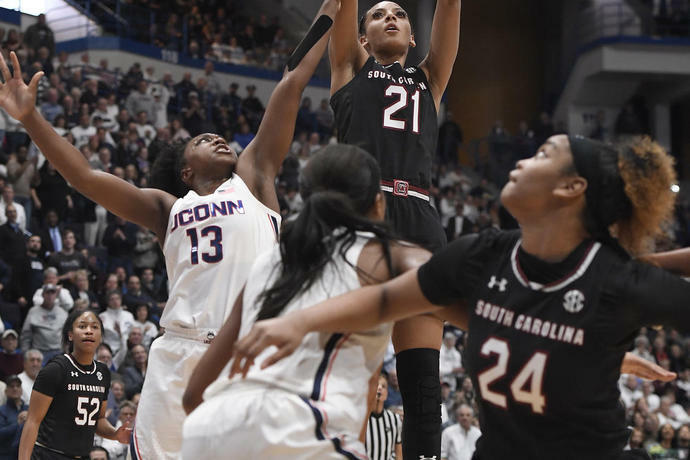 That's the second-longest winning streak in NCAA history, trailing only UConn's school-record 99-game run. 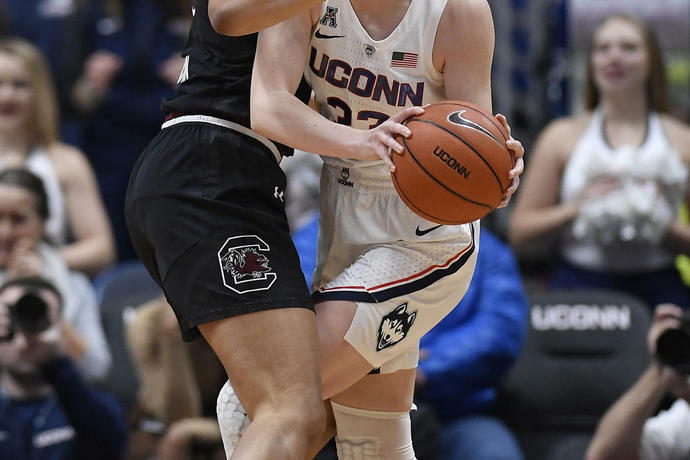 The Huskies' last loss at the XL Center, where the game was played Monday night, was on Feb. 18, 2013, against No. 1 Baylor. 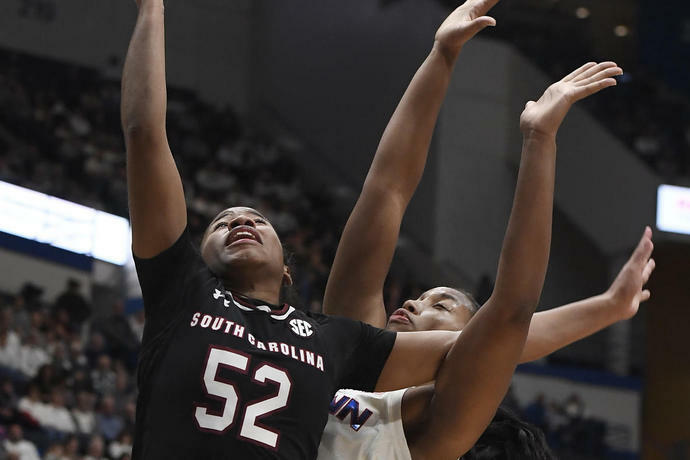 WNBA players Sue Bird (UConn) and A'ja Wilson (South Carolina) provided commentary for an alternate ''smack talk'' broadcast to the game on ESPN3. 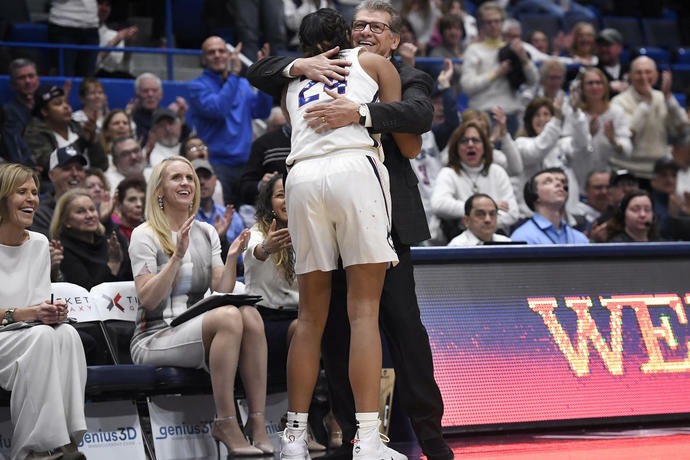 During the third quarter, Bird went over to the UConn huddle to listen in on Auriemma's comments with the Huskies up by 10.